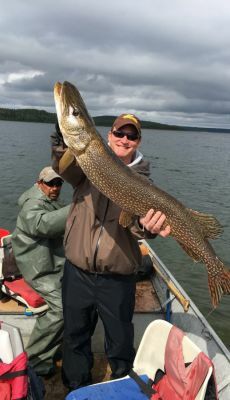 Hunting and fishing experts as well as those new to the sport come each year to Lawrence Bay Lodge to enjoy a wonderful vacation and take part in some of the best hunting and fishing opportunities Saskatchewan has to offer. 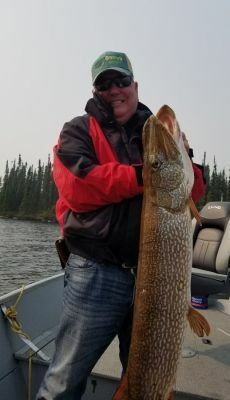 Our Reindeer Lake fishing and hunting photos showcase just a few of our amazing prized catches and the stunning wildlife that you will find here. 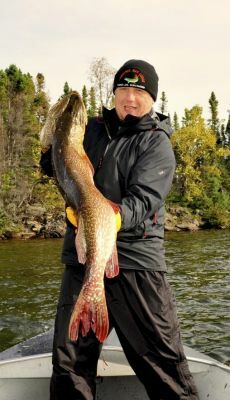 Reindeer Lake is among the most productive lakes in the region and yields fish larger and heavier than many of its neighboring counterparts. 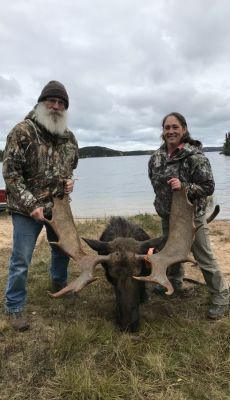 The surrounding evergreen forests remain pristine, providing hunting, mating and foraging grounds for a wide range of big game, including two of the most sought-after hunting prizes; moose and bear. 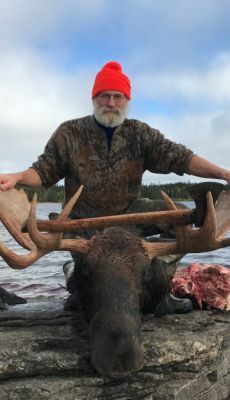 The pictures from Reindeer Lake, the boat, the scenic shoreline and throughout the surrounding countryside tell the whole story and give you a glimpse into what you can expect for your hunting or fishing adventure. Take a closer look at the lodge, the waters and the countryside to start planning your vacation. Contact us to book your stay or reserve a spot with your family, friends or colleagues.